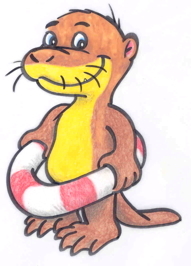 See the Toddycats outreach log. Museum Fest 2002 (Suntec City, 24-26 May 2002) was organised by the Museum Roundtable, a cooperative informal grouping of the 23 (now 45) museums and galleries in Singapore, led by National Heritage Board. NUS Green Carnival 2006, 2007 which reached out to students and staff in NUS. Kent Ridge/Pasir Panjang Heritage Trail – This trail began in its current form in 2002. Now, different versions of the trail are offered three times a year to the public beginning in NUS or Kent Ridge Park and ending at Reflections at Bukit Chandu. During the walk, participants learn about the plants, animals, history and geography of Kent Ridge, the southern islands and the heroic but tragic Battle of Pasir Panjang in collaboration with National Archive’s Reflections at Bukit Chandu. The Battle of Pasir Panjang Commemorative Walk, and annual event in February, e.g. see the event advertisement in Habitatnews. Heritage Fest – an annual event in July; see heritagefest.rafflesmuseum.net. 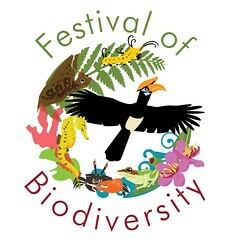 Other special dates like the NUS Faculty of Science’s 75th anniversary (2004). Pedal Ubin! – introduce the public to cycling safely and using a mountain bicycle effectively. 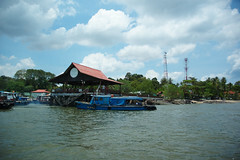 The tour introduces the fauna and flora of various ecosystems on Ubin – mangroves, secondary forests, plantations, sandy and rocky shores as well as the famous stories of Ubin’s residents such as the German Girl and the monk who walked from Thailand to set up a temple here as well as other major events. 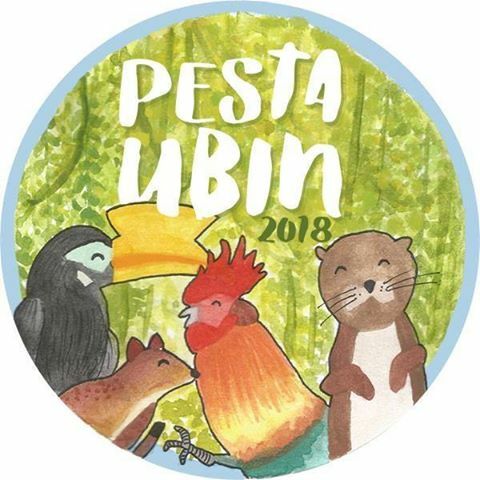 Guides help with the recce, oversee safety, directions, help parents and kids, maintain communications and teach participants to handle their bicycles and learn about Ubin’s nature on wheels! Sungei Buloh Anniversary Walk – Each December, we offer this special walk to celebrate Sungei Buloh’s birthday (official designation as a nature park in 1993) – a team of experienced guides relate interesting stories from the mangroves and supplement them with quizzes and corny jokes! Since the 15th anniversary of the park, we include the exhibitions team and a public talk. International Coastal Cleanup Singapore (ICCS) – This is an annual international event held on the third Saturday of September in which volunteers tackle the beaches and mangroves of Singapore, categorising trash in the morning. The data is part of an international effort to understand the type and quantity of coastal pollution at a global scale. Volunteer Zone and Site Captains conduct recces, mark out work areas, oversee safety and impact in mud and water, facilitate data collation and liaise with schools, corporate groups and other government bodies. Raffles Museum Public Gallery Guides – Public Gallery Guides enhance the visitor’s understanding of biodiversity and conservation in Singapore and Southeast Asia. The team offers free guiding during NUS Open House, International Museum Day, Heritage Fest and special occasions. Volunteer guides were first deployed during the Library Festival 2002. 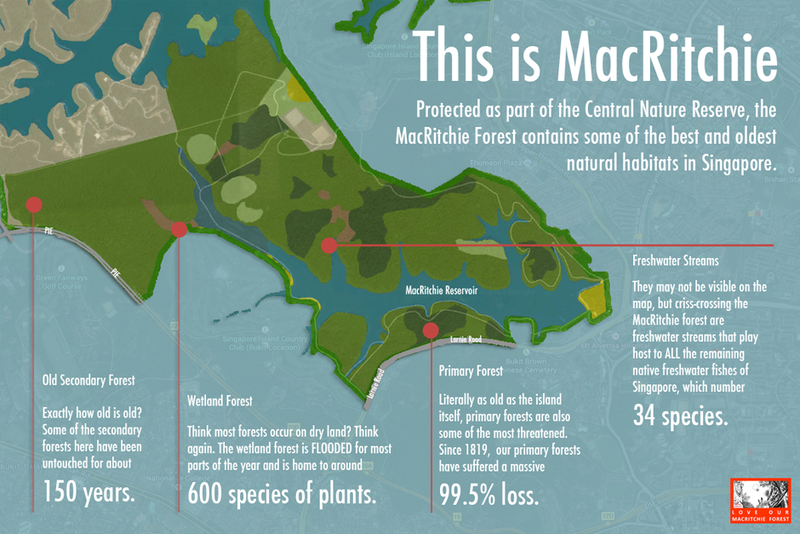 MacRitchie – Bukit Timah Briskwalk – the briskwalk programme introduced the public to the joys of early morning briskwalks through our nature reserves and routes they could use to appreciate nature in future.